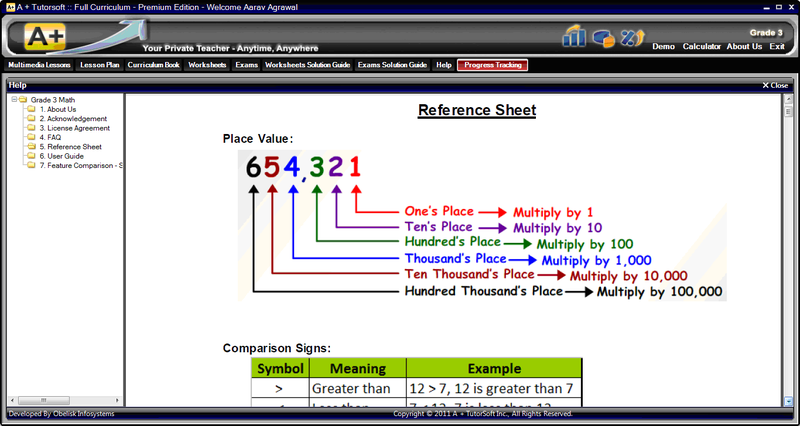 Our Multimedia Lessons use all three learning modalities: audio, visual, and text as this has been shown to increase understanding of the material. 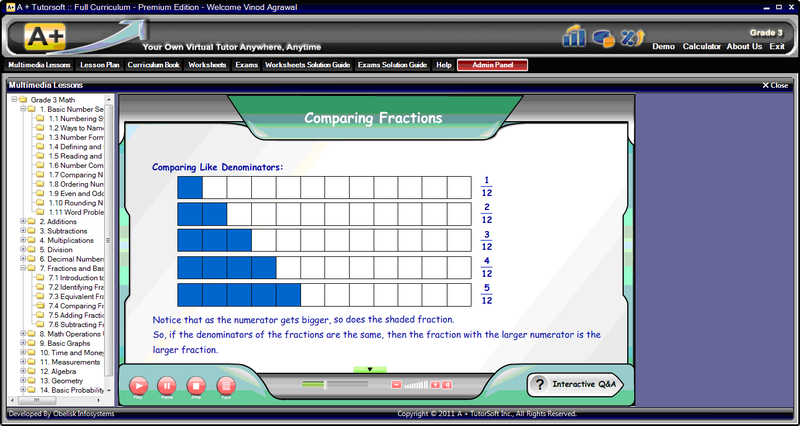 As well, animated Multimedia Lessons help students avoid fatigue and boredom and prevents developing a dislike for MATH, which can happen if traditional methods are the only methods being used to teach MATH. 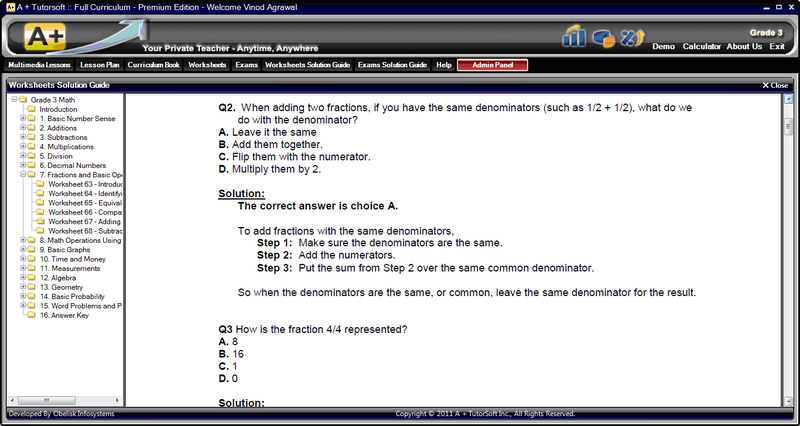 After the student views the Multimedia Lesson, they click on the Interactive Q&A button to practice problem-solving. 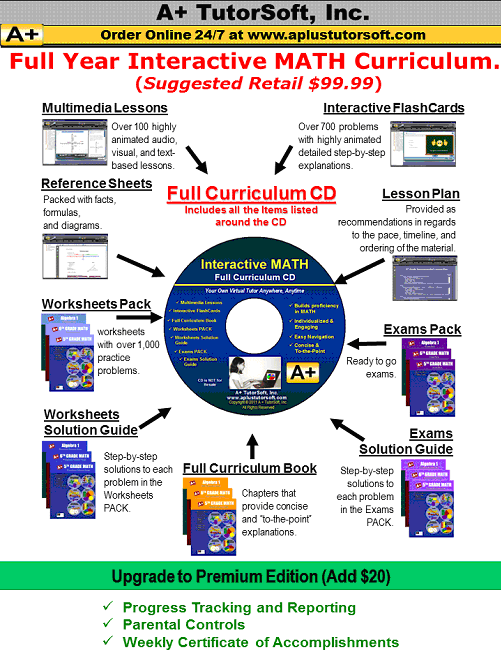 Here they have ample opportunity to practice problem solving in a more enjoyable format. 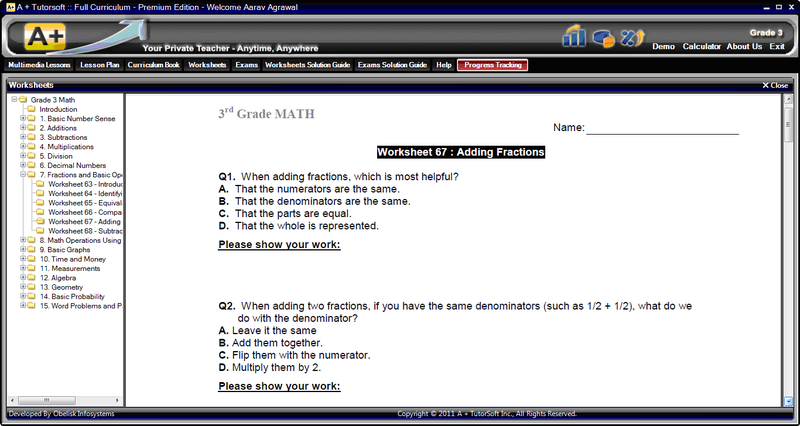 The student has all the time needed to select their answer and then they get immediate feedback. 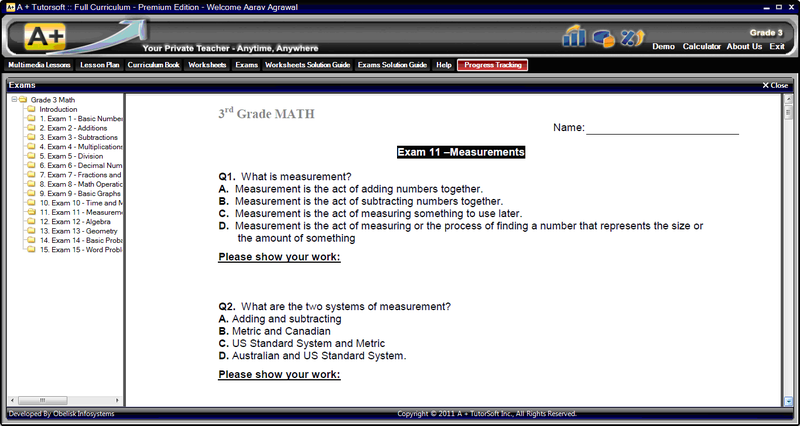 Printable exams allow students opportunity to practice taking exams and parent-teachers can use it towards a grade if desired. 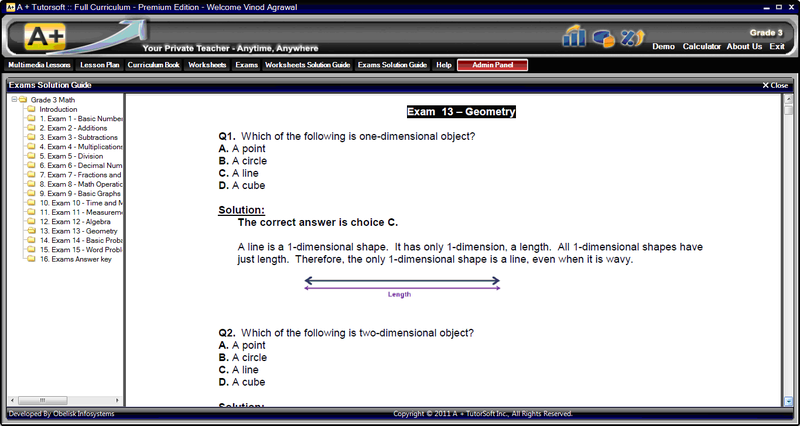 Several "ready-go-print" exams are available and each exam covers a logical group on several key topics for the appropriate grade level. 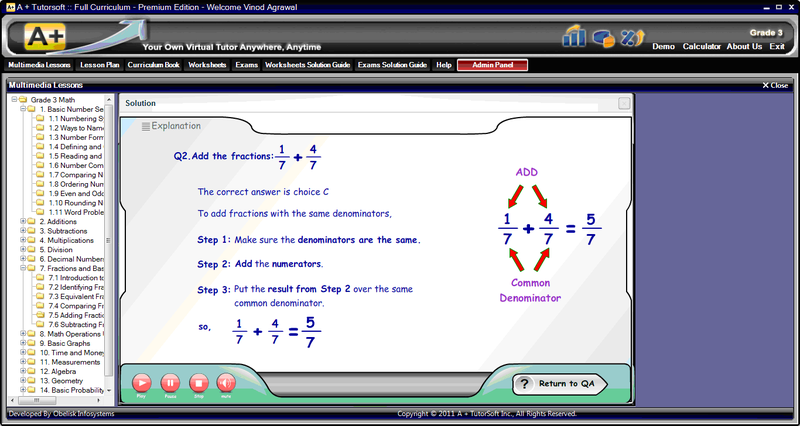 Exams Solution Guide helps students understand the detailed steps involved in problem solving with step-by-step solutions for each problem in the Exam PACK. 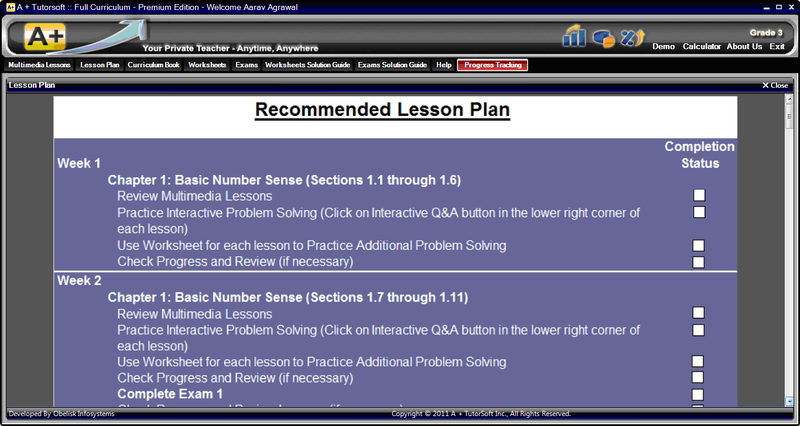 Provides recommendations in regards to the pace, timeline, and ordering of the material. 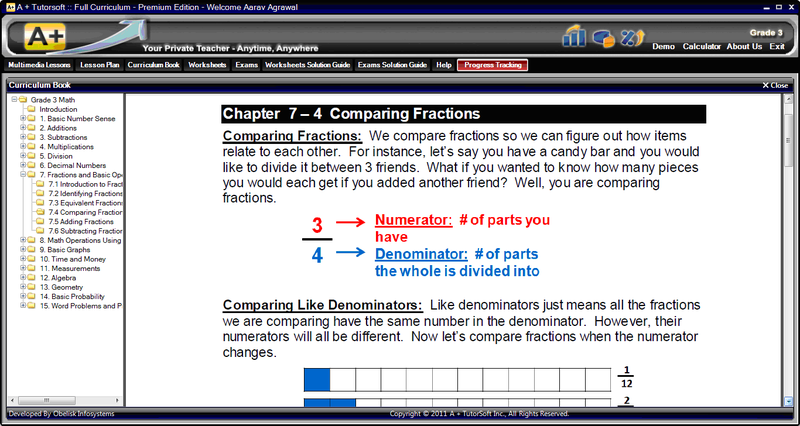 Printable Reference sheets provide easy access to facts, formulas, and diagrams.